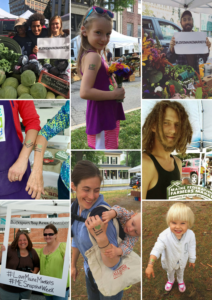 wide network of farmers’ markets by participating in a common effort to tell our market’s stories, share photos, collect data, and shower shoppers with prizes and attention! We’ll be promoting Snapshot Week to the public through a variety of media during July and early August. Each market can decide its own degree of involvement. 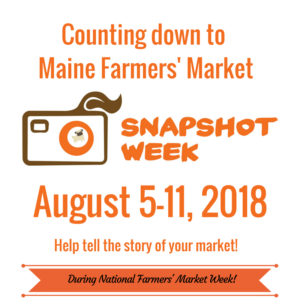 Joining in is a great way to celebrateNational Farmers’ Market Week (which takes place the same week), and take advantage of our statewide farmers’ market promotion. 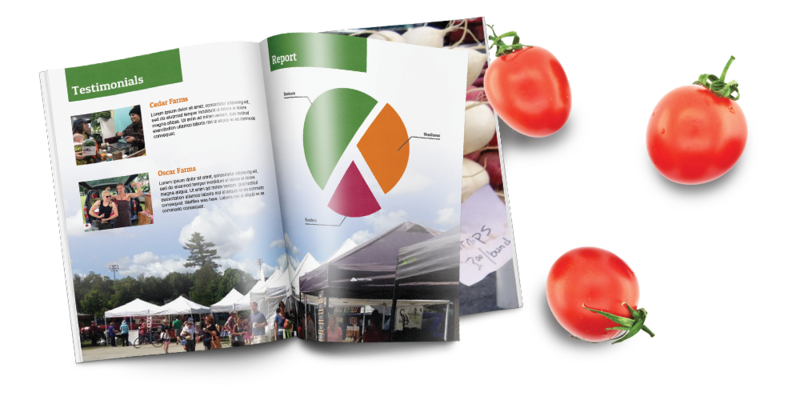 Participating markets will learn about their customer base, engage their shoppers though story and photo sharing, enjoy the benefits of a network-wide event, and be featured in the full-color Maine Farmers’ Market Annual Report. 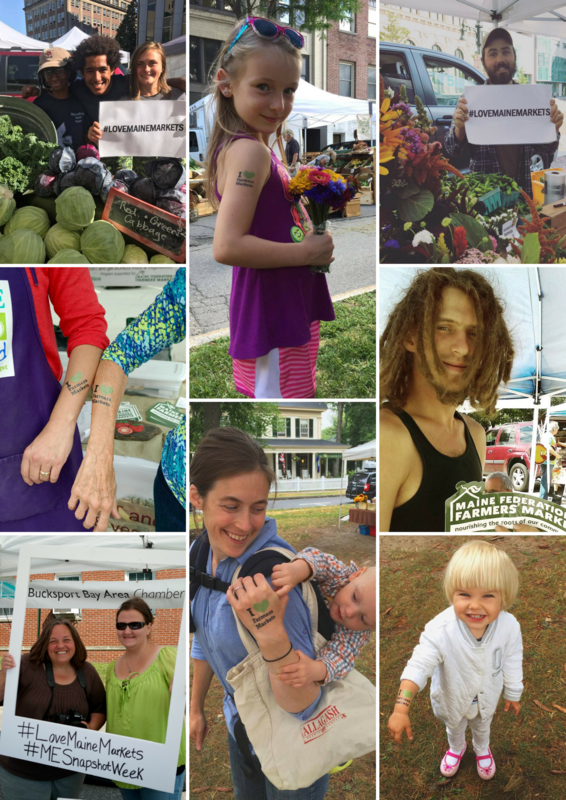 Click here to sign your market up to receive free tattoos, survey cards, and more! This is a great week to host activities, such as special music, prize giveaways, face painting, etc…., but that is completely optional.